Emma Fàbrega is currently a researcher in farm animal welfare at Institut de Recerca i Tecnologia Agroalimentàries (IRTA) in Monells, Catalonia-Spain, and her research focuses on indicators to assess animal welfare and strategies for on farm welfare improvement mostly in pigs, but also in other species. 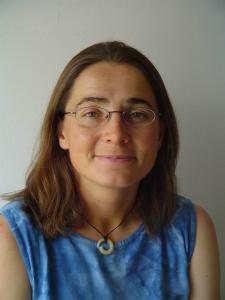 Emma completed a PhD at Universitat Autònoma de Barcelona and a MsC on Applied Animal Behaviour and Animal Welfare at the University of Edinburgh, and worked as a postdoctoral fellow at the Centre for Animal Welfare in Melbourne, before returning to the Mediterranean region to take up her corrent position. She became the Mediterranean Regional Secretary of the ISAE in 2011.